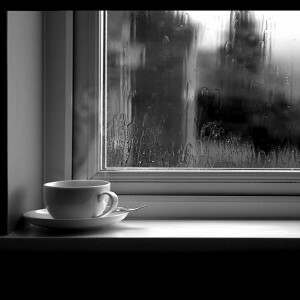 I’m sitting on my patio, drinking a hot cup of coffee. It could be considered gloomy, but I’m feeling good. We need the rain and I was enjoying hearing it. I do find it relaxing. I am a bit cold, so I’ll move inside. It is spring and I’m thinking Halloween. I guess with crafts, it’s never too early to get started. I do subscribe to a scrapbooker who is always waiting for pictures from her kids to add to the scrapbooks she’s making for her grandchildren. It is all a labor of love . . . and the pictures she receives, she makes the layout . . . no matter the season. It’s refreshing to know how most crafters and scrapbookers are always behind . . . or ahead, depending upon one’s perspective. I know there are many who are planning their Christmas in July videos . . . that’s when I’m into my Halloween stuff. Well, this year I’m getting to it earlier . . . along with Christmas. I guess it doesn’t really matter the season, the important thing is that we’re doing something worthwhile for upcoming holidays. I would like to be current with my crafts and the season, but I do plan ahead and by the time the actual event occurs, I’m pretty much over it and moving forward to the next. Disney always come to the rescue when it comes to making an idea a reality . . .
Spring is a time of new growth . . . all kinds of flowers and perhaps a fairy or two . . .
Something to capture the imagination . . . and to take you into another world of peace and tranquility. We do need as much of that as possible. And exercising the imagination is always fun, too. This would be great for a card or to set up on a shelf . . . it is a freestanding door . . . inviting you to peek around it . . . or open it . . . Just click the image to be taken to the free template. You can make a wonderful diorama . . . with plenty of flowers . 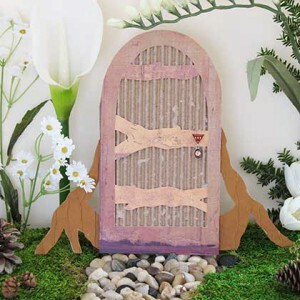 . . even attach the door to a box and build your fairyland inside it . . . there are many uses . . . and hours of fun for you as a crafter and for your children . . . share the fun. I know many crafters do work with their children or grandchildren. There is a spark that children have in bringing the best out of adults. This allows you to play, imagine and explore . . .
You’ll probably want flowers, too. And the most unusual, the better. This may spark an idea or two of your own once you print out these and assemble them . . . you’ll have plenty of unique flowers to add to your special fairyland . . . These were inspired by Alice In Wonderland, but you can adapt them however you want. Just click the image to be taken to the free printable. It’s always delightful to have some friendly flowers . . . these would make a beautiful bouquet to make and share. You can always add pictures of your family in these flowers . . . that would make them very special, indeed. And, you’ll need fairies, too . . . I wonder . . .
Well, with Disney, you don’t have to wonder very long. They do have exactly what is necessary to create something special and memorable. Remember to click on the image to be taken to the free template you can print and cut out. 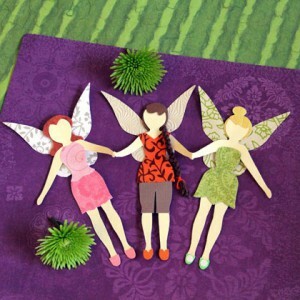 This is truly a wonderful template where you mix and match pieces to create your own unique fairies . . . and you can add your own special touches to make each one unique . . . and just right for your creation. They do bring happiness. 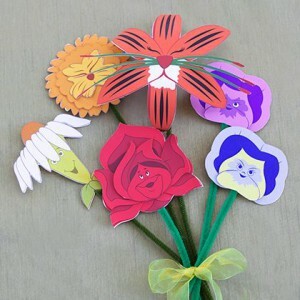 And, as with the flowers you can make your friends and family into fairies for your special wonderland/fairyland. Yes, spring is that time of wonder . . . of joy and delight . . . a time to get out in nature and enjoy yourself with family and friends. And use these free printables and templates. You will definitely have a wonderful time. I’ll leave you with one more link. Something you may find fun to put on your next batch of cupcakes. It’s appropriate for spring . . . with some of your Disney pals. I hope this post was helpful and inspiring. This is an opportunity to get into crafts. Rainy days seem to be creative days for me. An opportunity to write or make something. I am completely captivated by this. It works for all seasons and holidays. You just need the basic structure and then allow your imagination to run wild. You may be inspired to have a little cabin figurine included with your flower display. Or something else may come to mind. With the bare bones of this craft idea, you can make dozens of original pieces you will be proud to display in your home or to give as gifts. You may even want to use something else to suspend in the air and cascade onto your plate or saucer. It’s nice to look at finished products, but I find it more enjoyable to see the basic structure and then decide how I can make something that is meaningful to me . . . or to someone I may make it for . . . we all have our favorite things . . . or things we associate with others. It make a wonderful centerpiece for your dining table. If you need a little nudge in any particular direction, I would make one for each of the four seasons or each of the major holidays you celebrate. Also gather ideas from family and friends. It is amazing what a little brain storming session may bring out. Be sure to keep a list of those suggestions . . . no matter how far out they may seem . . . it could inspire you to create something awesome. And get the children involved. 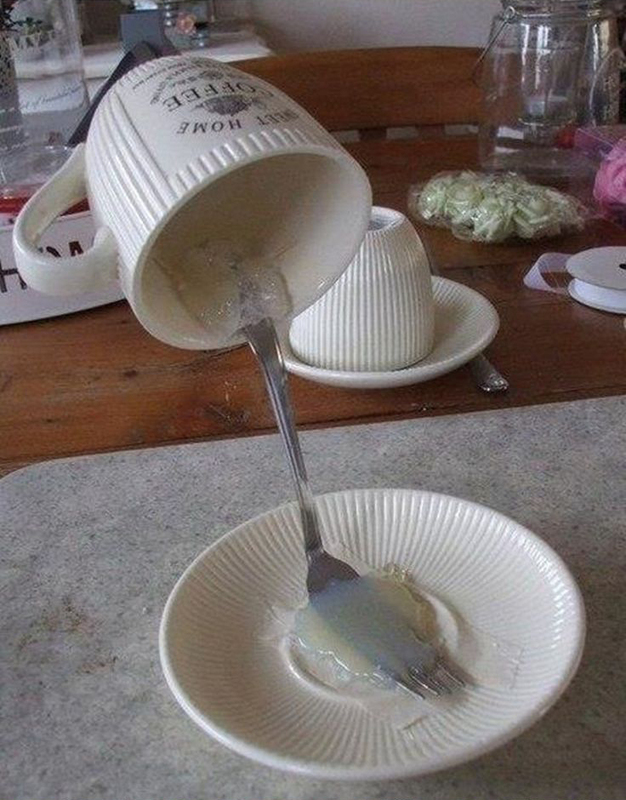 You can glue all kinds of stuff together. What do you imagine spilling out of your cup or goblet or mason jar . . . ? There is no right or wrong way of adding embellishments to your basic structure . . . just cover up the fork . . . you do want to retain some of the mystery. Since I’m into paper crafts, I was thinking of making the cup out of paper . . . to make it lighter, chip board works and core board works, too. You can also incorporate this into a mini-album that could be displayed right along with this . . . with pictures of your family and friends on vacation or involved in some celebration. It could be completely imaginative . . . that would be a good thing, too. You could be inspired by a favorite movie or book . . . or a place you once visited . . . or a picture you saw . . . the possibilities are absolutely endless. It may be fun to go to a favorite thrift store . . . or craft store and see what inspires you . . .
And, if you get your children involved, it would be fun to video it or take pictures during the construction . . . this may add to the completed project. I may revisit this from time to time . . . just to think and imagine . . .
Like I said earlier, write down all your ideas . . . then take a picture of your finished project or while it is in progress. Even if it didn’t come out as well as anticipated . . . you can always change it . . . The important thing is to have fun . . . and share that fun with family and friends. I find it refreshing to sit back and observe . . . nature, people, pets . . . just watch and learn. At times it is difficult to sit quietly. I sometimes feel I need to be doing something . . . or at least thinking about something . . . about my blog or a project . . . something meaningful and worthwhile. I did receive an email about “breaking the cycle.” It was about getting your emails and posts noticed . . . but I wasn’t thinking in terms of marketing. I was thinking in terms of life. We are creatures of habit. We schedule time . . . we’re always on the clock. But, break the cycle . . . even for 5 minutes . . . or a minute and build up . . . what would that do? How would that affect our day? Would we gain insight? 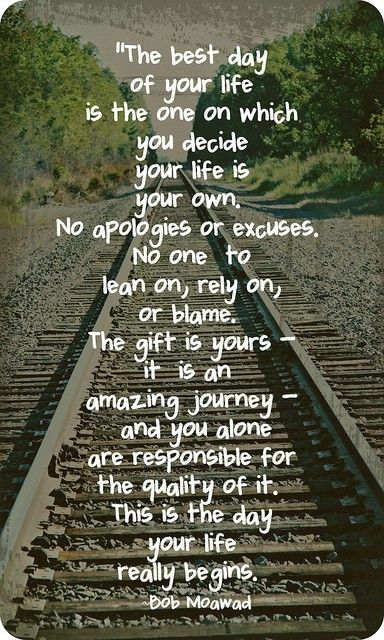 I came across this quote on Pinterest about taking charge of your life without excuses or blame. Too often we give our power to others . . . out of foolishness, not knowing better, perhaps fear . . . it’s always easier to blame others or situations than to take a long hard look at yourself and realize you can make the changes when you stand up and take charge of yourself. It may be about being your own best friend . . . about finding what is truly important to you. We don’t have to follow others . . . yes, it is easier, but is it right for you? Is it what you want to do? Yes, it is a tall order, but it is important to allow doors to close and others to open. I’m not saying be reckless . . . I’m saying to take the time to explore your thoughts and feelings. Take a moment or two to reflect . . . to think . . . to observe . . . to discover what makes you happy. 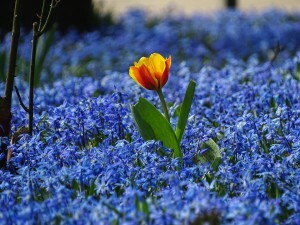 Sitting out among the abundance of spring is like a rebirth . . . take advantage of spring . . . and watch yourself blossom and bloom. 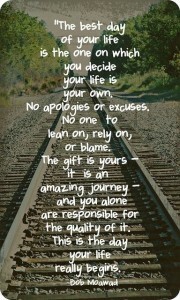 Life is truly precious. And beautiful days are days to celebrate. 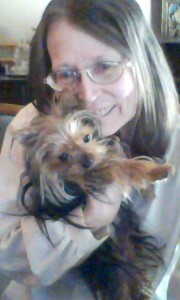 I love being outdoors with my precious Yorkshire Terrier Diva. There is something about being outside, enjoying the flowers, blossoming trees and my vegetable garden. It is important to dig in the dirt from time to time and to thoroughly enjoy the abundance nature has to offer. Diva enjoys being out in the sunshine and sniffing around. Also sitting with me on the patio. I like to work on craft projects. Gluing paper together to make 3-D houses or pop-up pages for mini albums. I never outgrew that need to make stuff. Or the fascination of opening up a page that pops up. I wonder if this comes from wanting things to be life-like. I find when looking at pictures, i want to go beyond the flat surface and make it third dimensional so I can actually see around it. I know many people put those dimensional dots on cutouts to make them stand out . . . and doors and windows are able to be opened . . . and there may be a scene behind it . . .
Spring is a wonderful time of year . . . it’s not too cold and it’s not too hot . . .
After Easter, we’ll be celebrating Mother’s Day and Father’s Day . . . then we get into summer . . . and the Fourth of July . . . then we anticipate fall . . . and all the fun that season brings . . .
As many of you know, fall is my favorite time of year. I feel it is a new beginning, but it truth spring is that new beginning with the budding of fruits and vegetables that we’ll be enjoying through the summer and into the fall. I guess we’re all geared a bit differently . . . . having a preference for different seasons and holidays. I do know many people who love Halloween and come alive with their creative genius in making mini albums and related craft projects. Some go with the spooky while others go with the sweetness of youth and the wonder of it all . . . and others do a bit of both . . .
And those who adore Christmas . . . that magical time of year . . . with the carols and the anticipation . . . But, spring, I’m now beginning to appreciate more . . . the beauty of all the flowing trees and plants . 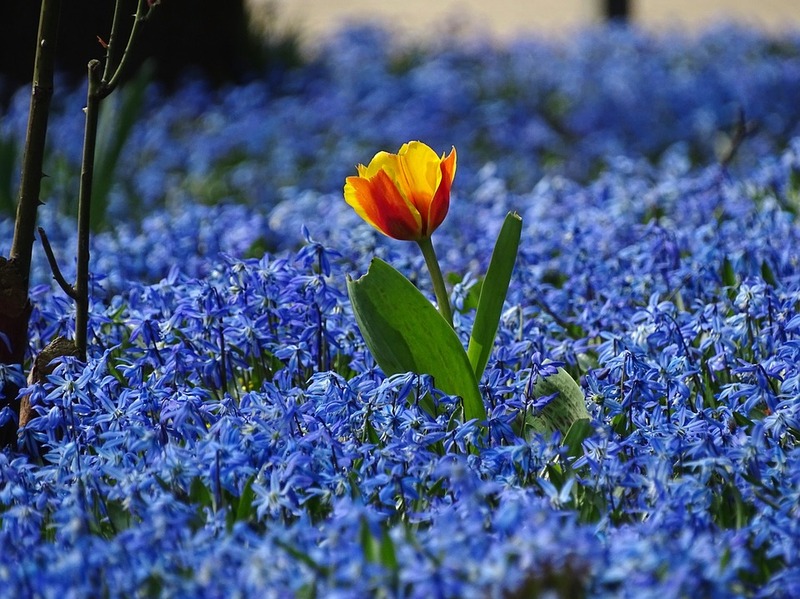 . . the abundance of color springing forth . . . mild temperatures . . .
Then come the vacations of summer . . .
And that anticipation of fall . . . Sorry . . . that’s where the seasons seem to take me. I do enjoy the moments of each season . . . but my true love is fall and winter . . . those two popular holidays of Halloween and Christmas . . . and I do love Thanksgiving that it squeezed between . . . and I’m very fond of Easter, too. Those “lazy, hazy, crazy days of summer” with beach outings . . . picnics . . . camping . . . being carefree and fancy free . . . Yes, each season has its advantages and its special moments . . . which you’ll notice centers around family . . . and friends. Spring and summer seem to be the seasons of S’mores . . . but I make them the treat of all seasons . . . but there is something special about making them over an open fire . . . things “cooked” in nature seem to taste so very much better. Yes, I do go for the nostalgic . . . there are jigsaw puzzles available for all seasons and all things that are meaningful to you and your family. I find having a puzzle out, brings people together. It is a relaxing activity where you can visit, have a conversation and find pieces that will fit in completing the puzzle. I do find them relaxing throughout the year. Oh Goodness!! 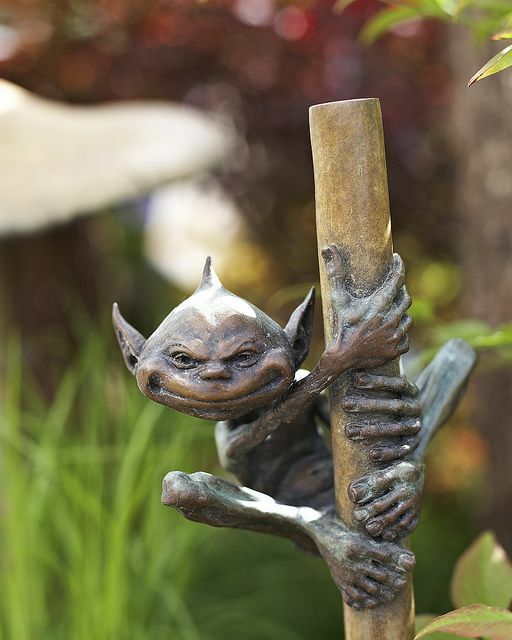 A Garden Goblin!! I don’t know whether to be alarmed or delighted . . .
It’s spring . . . and with spring comes some surprises in your garden. I know my California live oak tree is blooming!! I have that fluff all over the yard, porch and sidewalk. I clean it up and after an hour or so, it’s time for me to sweep and rake again. Yes, it is a huge tree . . . it’s been here a long time. And this little guy . . . he may be a garden guardian . . . I think it is all a matter of perspective. Beauty is in the eye of the beholder. And, we’ve learned somewhere along our life journey not to judge people by the way they look . . .
Our first impression may not have been too kind toward this goblin . . . then again, he could very well be a good luck amulet for your garden . . . take a lesson from nature and see if this guy is helping or harming your garden . . .
Maybe the two of you should get to know one another a bit. He may be wondering if he wants to stay around . . . maybe he’s not too fond of your looks or the general atmosphere in your garden . . .
Have a great Easter celebration and enjoy your spring . . . every season is special and precious . . . giving us time to relax and enjoy nature . . .
Interest In Christmas Ghost Stories? TwoCansOnAString.com is a participant in the Amazon Services LLC Associates Program, an affiliate advertising program designed to provide a means for sites to earn advertising fees by advertising and linking to amazon.com and any other website that may be affiliated with Amazon Service LLC Associates Program.